Presenting a strategic address at Station 2 that’s just a stone’s throw away from a plethora of city comforts, The Tides is a destination in itself that will let you indulge, unwind, and breathe easy. 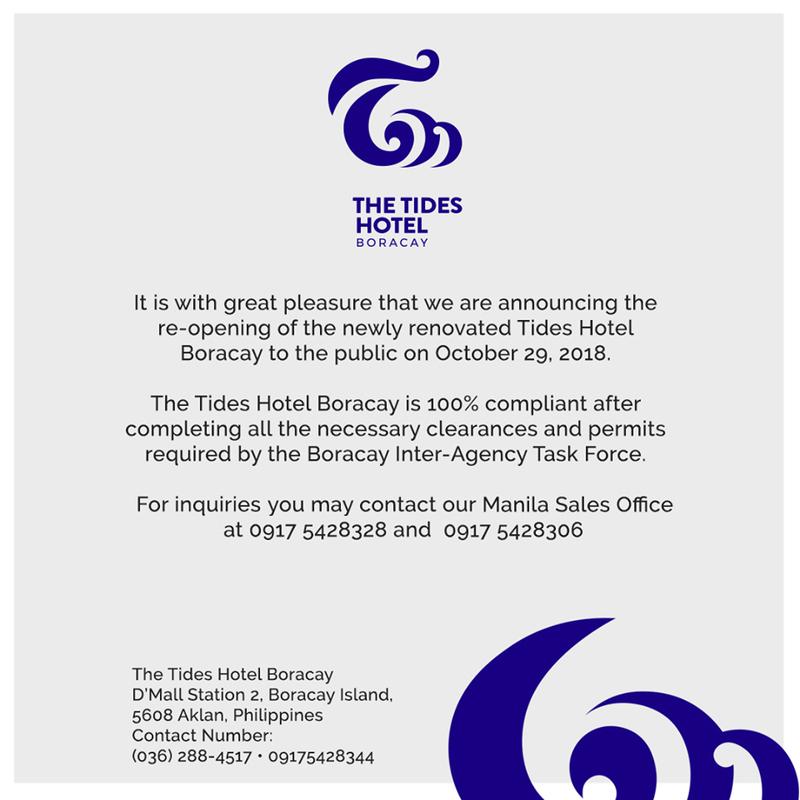 Boracay Island — home of The Tides Hotel — is 45 minutes by plane from Manila or Cebu. The airports of Kalibo and Caticlan serve as the gateways to the island.